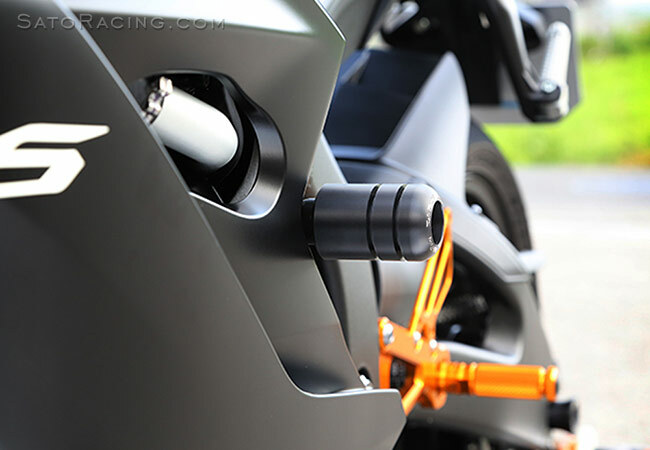 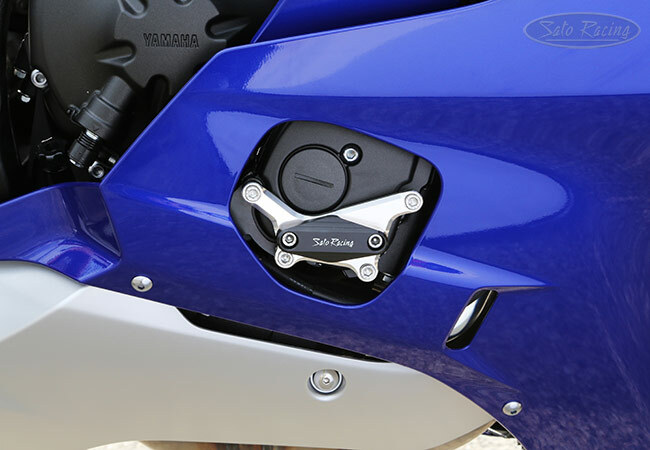 In addition to Frame Sliders , we also make an Engine Slider for R6 that fits over the front R-side engine case opening, to maximize protection of the lower right side area. 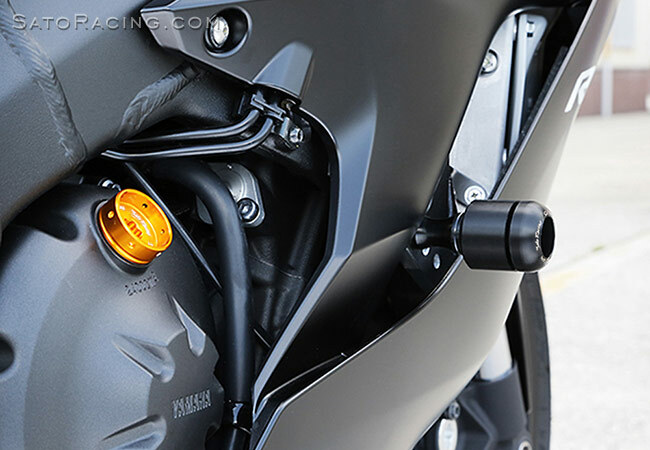 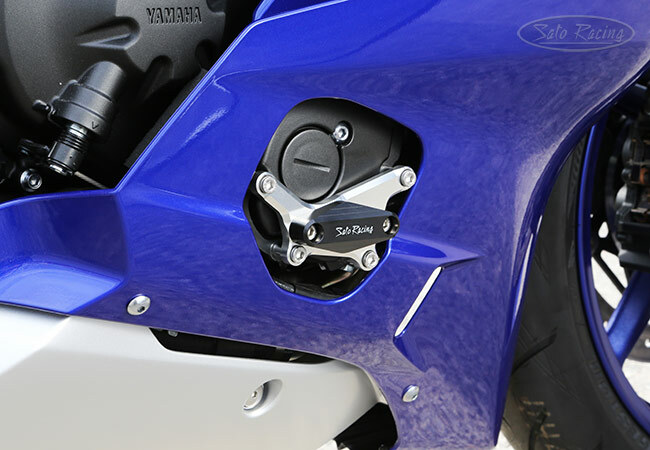 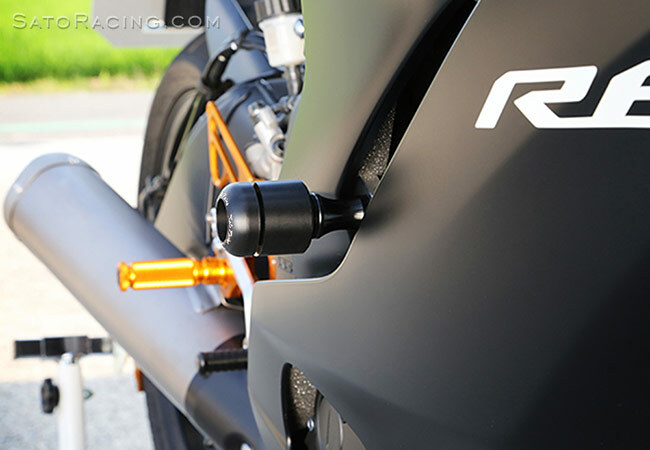 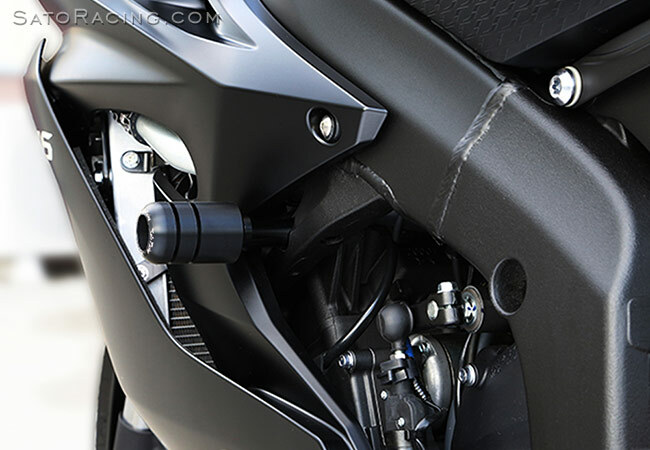 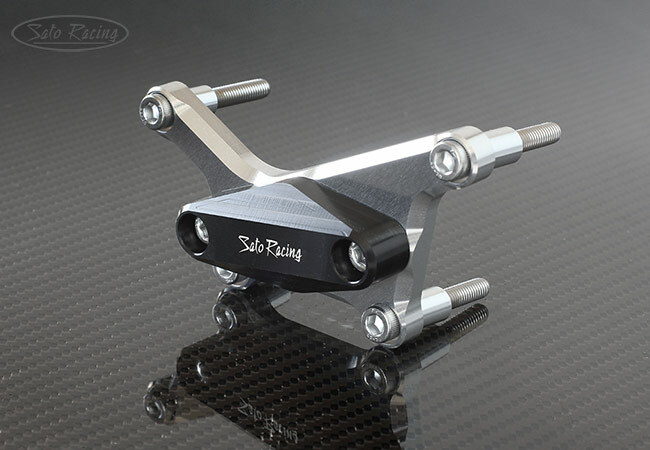 SATO RACING Engine Slider (R-side) for 2017-18 Yamaha YZF-R6 has a slider plate made of tough, abrasion-resistant DELRIN for excellent protection of the lower front fairing area if you slide. 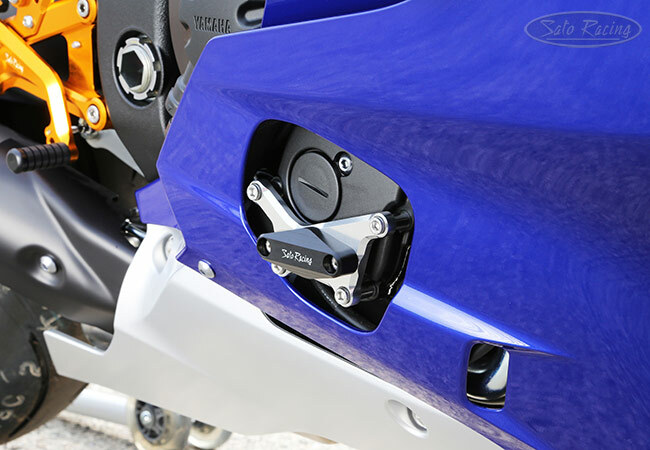 Slider is attached over the front engine case with a high strength anodized billet aluminum bracket and collars, and stainless steel bolts.